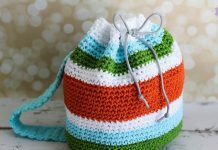 This Crochet Dilly Bag Purse Free Pattern is a colorful and cute bag that’s great for the outdoors. 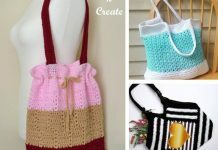 Make one now with the free pattern provided by the link below. This bag is light and convenient which makes it perfect to carry around. During outdoor walks, you may not want to carry around everything in your normal purse, which is where this comes in. This is the perfect sized bag to bring a few items, such as your phone, wallet, and maybe some snacks. 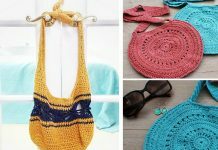 Thanks Groovy Textiles for sharing this free crochet pattern.The link for the free pattern is provided below photo. Happy crocheting.